After all the travelling, back to some more familiar surroundings and couple of pubs to add to the BOTF list. I took the kids down to Staunton Drew on the River Chew (unsurprisingly for some I have spent many hours fishing this river). Staunton Drew is the home of a number of prehistoric stone circles. There are around 30 stones (megaliths), covering a decent area (over a 100m in diameter) and possibly as a big an area as Stone Henge. Obviously of significant importance in Stone Age times, and in recent times an attraction for a few cider drinking fishing druids. Apart from a Friesian cow and 3 calves we had the field with stones to our self to explore (never have seen many people here … would be a good venue for the summer solstice as the stones are supposed to aligned to the solar and lunar calendars). 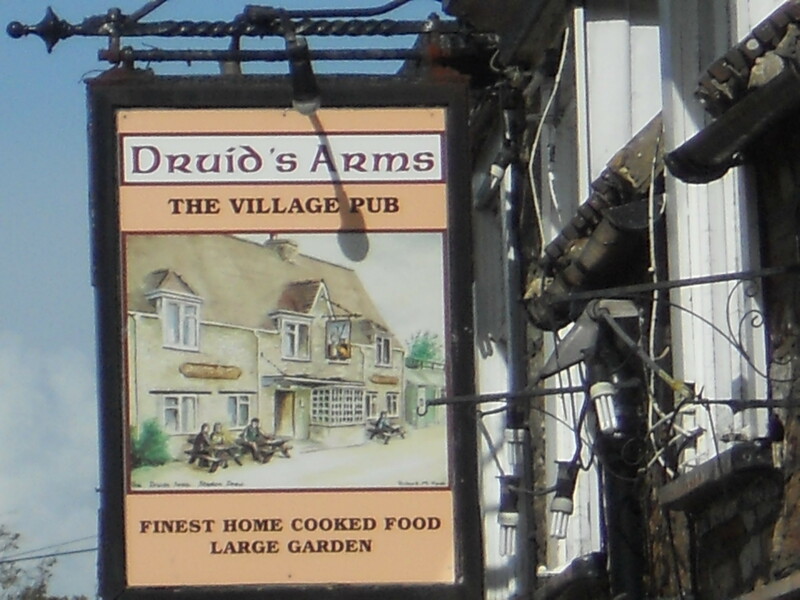 In the village is the public house, the Druid Arms. We went in for a snack and a drink. Not many patrons but a warm welcome and relaxed atmosphere. Usual beers and ciders on tap – selected a favourite, Butcombe bitter, which have previously reviewed on the blog. 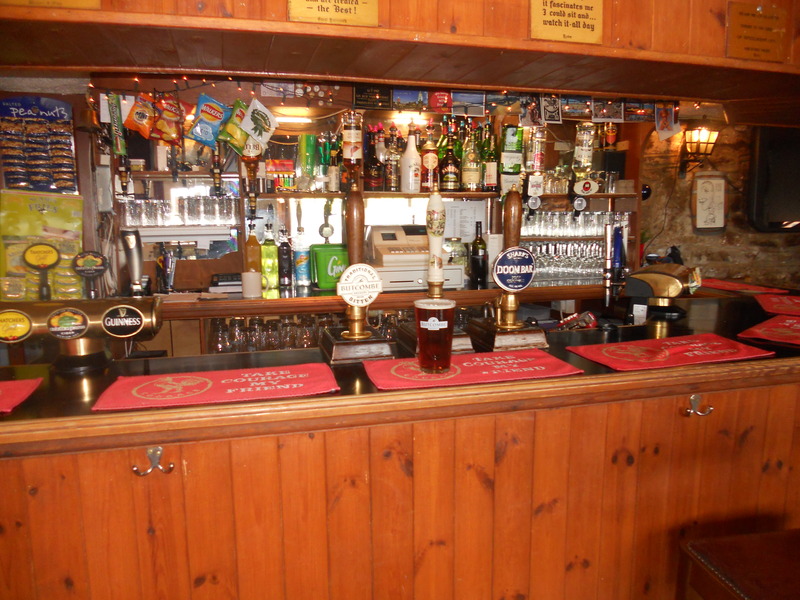 There is a lot of interesting memorabilia inside the pub to peruse, with lots of historical pictures on the walls mainly relating to rural or sea faring themes of the West Country. Not sure how old this pub is but noted on a list of previous inn keepers, one started in 1842. Also the home for the Druids darts team, who play in the Chew Valley league (roughly a dozen or so local pubs). The darts board kept me and the kids amused for hour or so (even managed to win a game !). 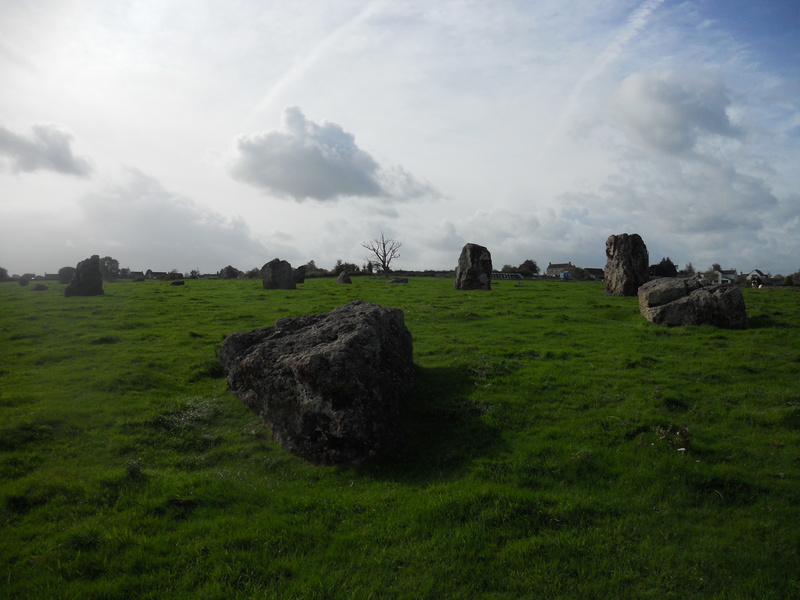 For anyone visiting would recommend a visit to the stone circles and the Druid Arms. In the afternoon travelled up to Laycock to visit my farmer brother. Laycock is a picturesque village, thatched houses, a famous abbey and has many films such as Harry Potter filmed in its streets. 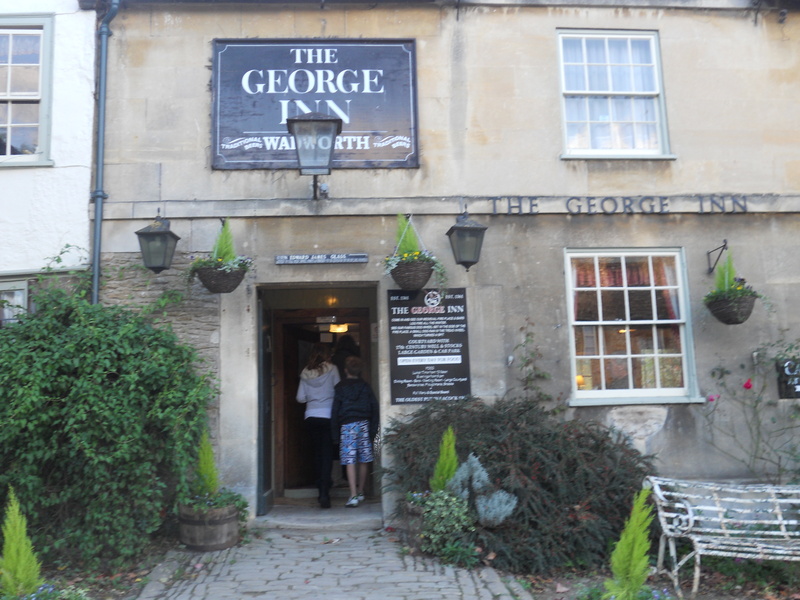 A lot of the village dates back to the 15th century and the pub we chose to visit, the George is circa 1361. 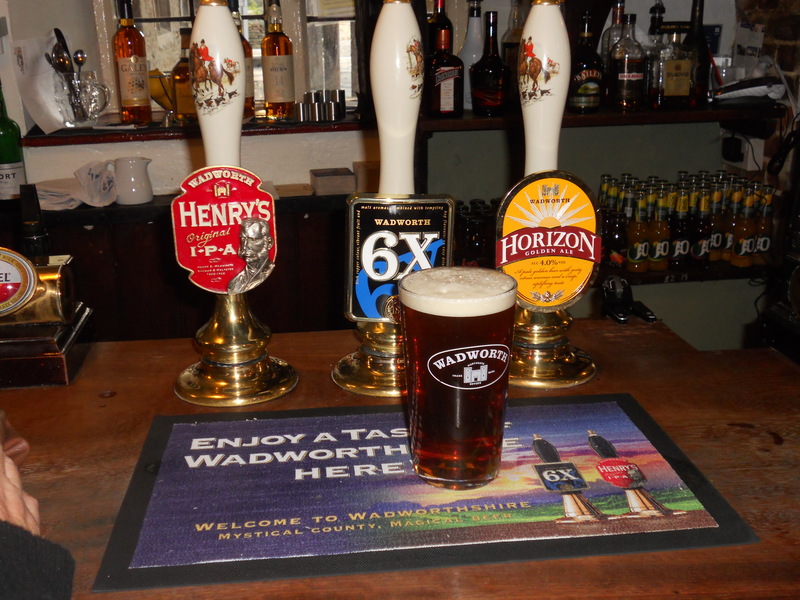 This pub has recently changed from being a free house to a local brewery from Devizes, Wadworth’s. The beer I had was a 6X which have also previously reviewed on the blog. However, I would say both Butcombe and 6X are very good beers. Inside the Red Lion it was fairly quiet (at least until we got in there), a decent fire going in the large fireplace, hunting/rural prints on the wall plus some photo’s of the recent film sets. We thought about eating here, the food is good but not the sort of stuff the kids like … so we went from here to a Hungry Horse in Melksham (Hungry Horse is a chain of pubs) which are more targeted for kids (burgers and ice cream). This pub (and the village which is largely owned by the National Trust) is worth a visit.